A weekend conference in Plainfield is helping people who have been adopted find their biological parents. PLAINFIELD — Many adopted Hoosiers are waiting on their adoption records. A law released certain records last year, but you have to put in a request to get them. That will be a main topic Friday and Saturday at a conference in Plainfield. Jennifer Fahlsing, secretary of the Indiana Adoptee Network, gave up a child for adoption when she was 16. She was also adopted, and she recently reconnected with both her son and her mother. "When I met her, I get the mannerisms. I get the interests. It's the nature vs. nurture," Fahlsing said. "When you get to meet your biological family, you're like, 'Ohhhh, I get where I get that." 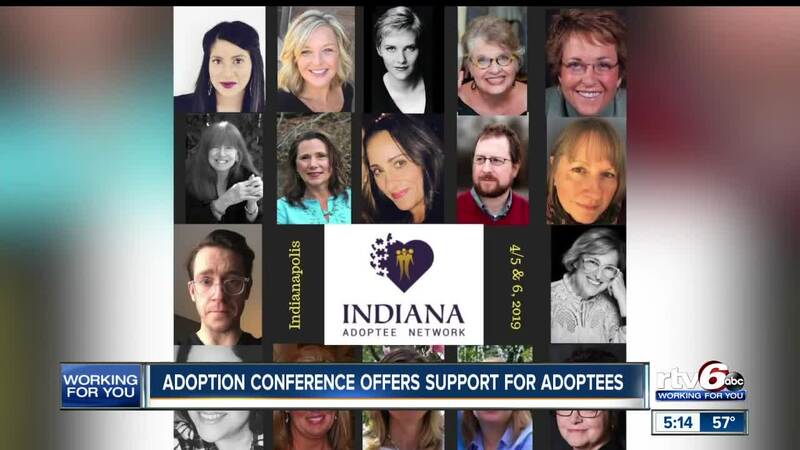 The Indiana Adoptee Network will host its third annual conference this weekend. It is an opportunity for people with adoption backgrounds to meet and learn about resources. "When you come to an event like this, no matter what your situation is, there's somebody else that's been in the exact same situation or something similar," Fahlsing said. The non-profit was vital in the passing of a law releasing adoption records in Indiana. They'll help people working through the process of getting their records from the state. The Indiana State Department of Health has received more than 4,200 requests for adoption records. The wait to receive records is more than 20 weeks due to high volume. Organizers of this weekend's conference said they encourage people to remain patient and to contact them if they need help through the process. "We're going to help them here at the conference with their information and then once they get their file, we will help them with that, too," Pam Kroskie, president of the Indiana Adoptee Network, said. The event is at the Embassy Suites by Hilton Plainfield Indianapolis Airport (6089 Clarks Creek Road) and people can register at the door. They'll learn more about their past, hear other stories like Fahlsing's and learn more about available support systems. "It's the first step," Fahlsing said.